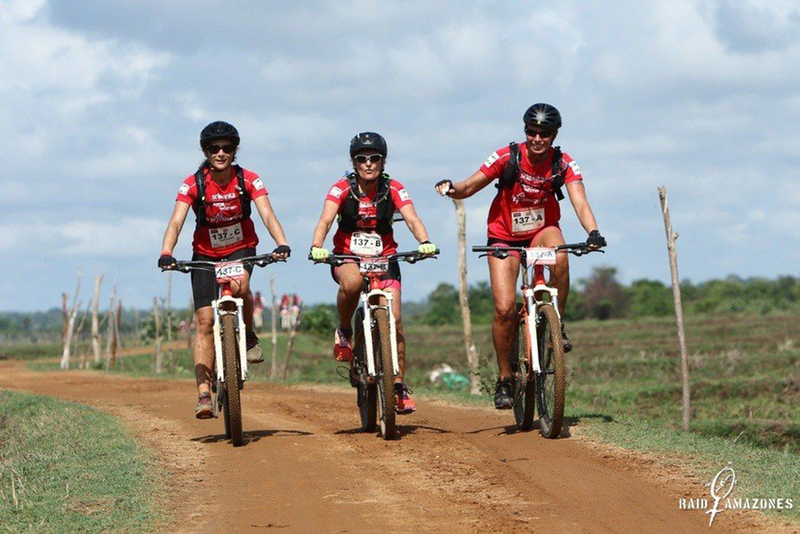 Raid Amazones: "It's all about being together and helping one another"
In October Sophie Vaux took part in the Raid Amazones in Sri Lanka. The account manager relished the challenge and togetherness of the adventure race. She tells us more about her love for sport and readiness to leave her comfort zone. I was working as head of advertising at a PR firm. It didn’t take long for me to gravitate to the production side of things, and when I was hired to oversee print production for pharmaceutical laboratories, I knew I had found my calling. Seven years ago, I joined Altavia In Store where I was put in charge of POS. It was a great opportunity to develop the more creative aspects of my job. POS is a vibrant, dynamic and all-encompassing line of work. We work with all kinds of materials, dealing with various practical, functional and creative dimensions. It’s very rewarding and stimulating. How did you come to love sport? I came to Altavia just as the firm was launching its exercise programme. It was an opportunity for me to really get back into it, and I met Alexandre, who’s a terrific coach. In no time I was hooked! When I went to the mountains on holiday, my cousin took me trail running. With the Pyrenees and the Jurançon vineyards as our setting, it was simply glorious! My first run lasted 45 minutes, and I not only enjoyed it but also ran at a pretty decent pace. When I got back to Paris, I called up some girlfriends who had been trying to convert me to running for some time, but the idea of jogging in the city had never appealed to me. We started running together and I loved it. I started competing in short runs like the 10km Boucles du 17e and the 16km Paris-Versailles starring the famous hill, and the Course Royale, a 15km run through the legendary gardens of the Palace of Versailles. The hardest race I’ve taken part in so far is the Raid Amazones in Sri Lanka this October. What is the Raid Amazones? It’s a charity race for women only, and in 2018 it was held between 10 and 20 October. It’s made up of two 16km and 10km runs, a 15km canoe race, a 48km mountain bike race and a 23km Bike & Run race. I signed up with two very sporty friends and our team was sponsored by an executive friend. We trained under Alexandre, the Altavia coach, who put together an individual training plan for each of us. Would you say the Raid Amazones is an opportunity to leave one’s comfort zone? For sure. It really tests your limits. In fact, it pushes you well past your limits and makes you realise just what you’re capable of. Raid Amazones runners are able to take up the challenge and tap their hidden reserves in large part because everyone helps and looks out for one another, everyone works as a team. What did you enjoy most about this unique experience? I was really moved by the generous spirit that infuses the event. For example, at the end of the race, the two winning teams each receive €1,000 to give to the charity of their choice. Two other teams picked at random also receive €1,000. I liked how you don’t have to be a winner in order to help a charity you support. Every year the Raid Amazones supports a local charity. What cause was highlighted this year? 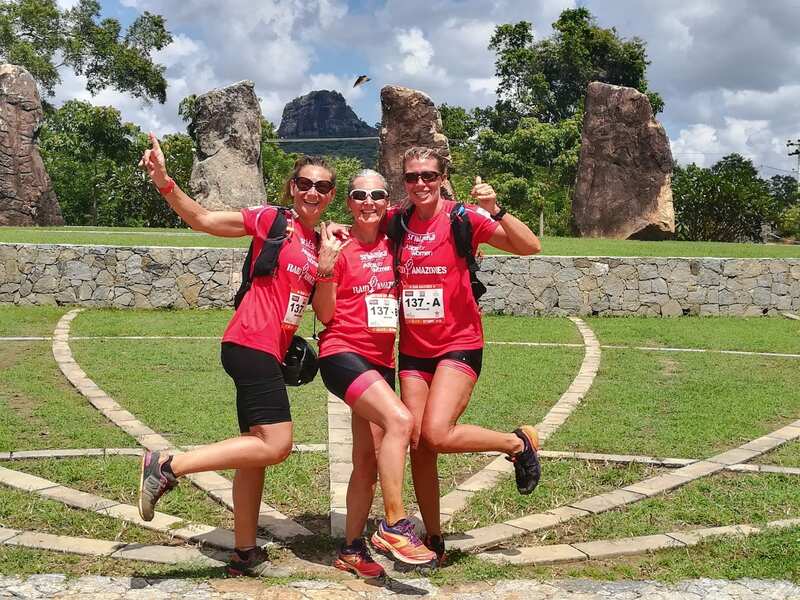 This year, the Raid Amazones decided to support Reconstruire et Vivre, a non-profit organisation set up by a Frenchwoman right after the 2004 tsunami. It seeks to rebuild homes destroyed in the disaster. What caught you most by surprise during the race? For the canoe race we trained on the Aisne river near Compiègne (in northern France). But in Sri Lanka we saw that canoeing on a river is one thing and canoeing on the sea is quite another! The weather was also a bit of a challenge. Even though we were lucky enough to train during a very hot summer back in France, with very similar conditions, it was much more intense in Sri Lanka. It was 10°C hotter with 60-80% humidity! That really takes it out of you. What did the local people make of it all? This year the event took place in a low-tourism part of Sri Lanka. The region suffered 26 years of civil war (between the government and the Tamil Tigers) and severe depopulation. In 2004 the tsunami compounded the misery. The 2018 race was held there to put the area back on the tourist map, show off its natural beauty and promote it as a completely safe destination with lots of fun things to do. The local people aren’t that used to foreigners. So, you can imagine how surprised and amused they were to see 270 women running and biking past their rice paddies! They were very curious and interested in what we were up to. A few weeks later, what does the Raid Amazones mean to you? It’s all about being together and helping one another! Raring to do it again – perhaps with an ALTAVIA team!